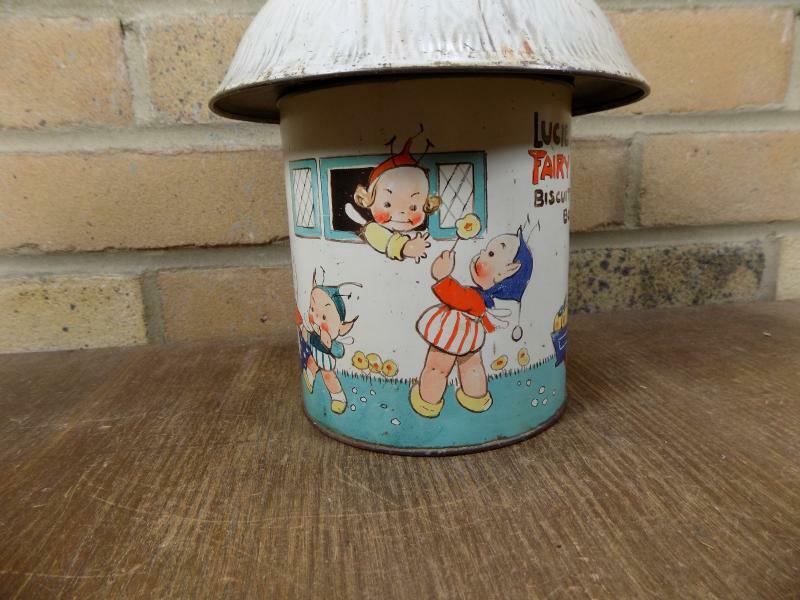 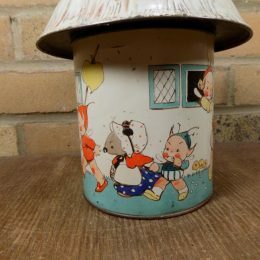 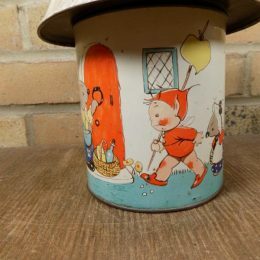 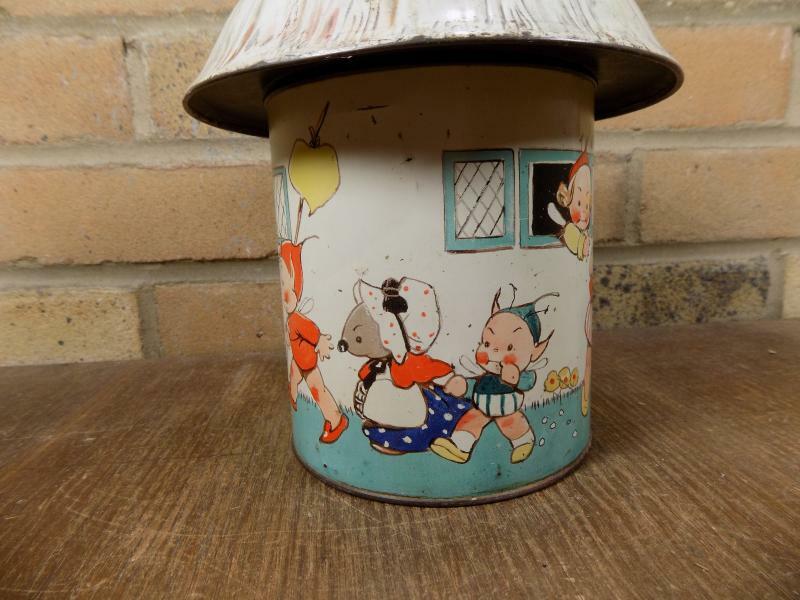 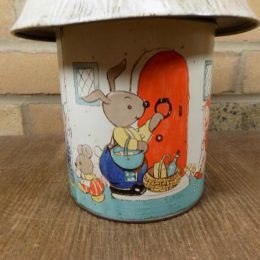 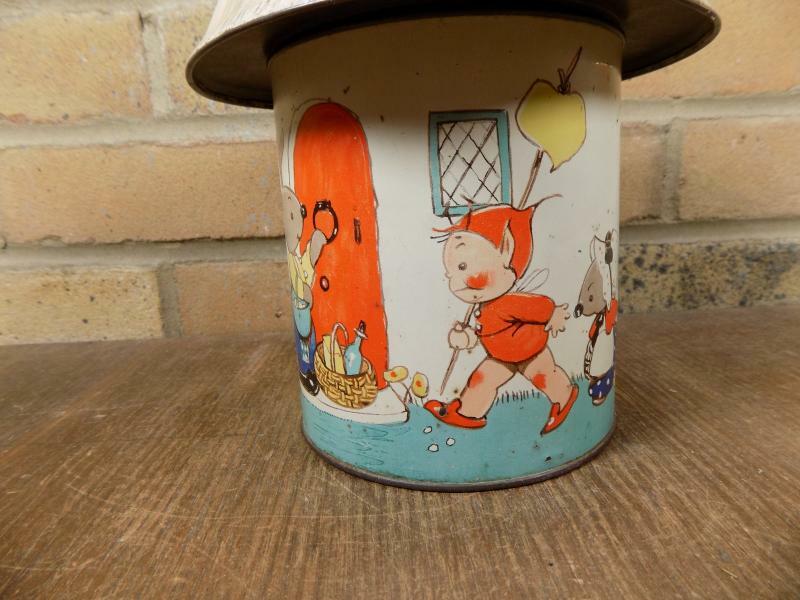 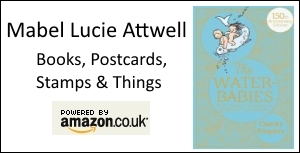 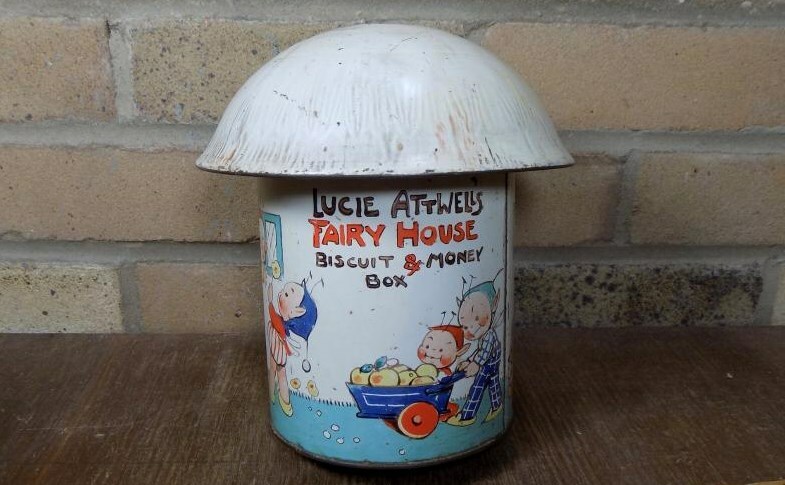 This Mabel Lucie Attwell box is both delightful and versatile being promoted in its own text as a Lucie Attwell’s Fairy House Biscuit and Money Box. 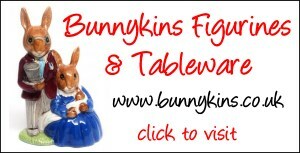 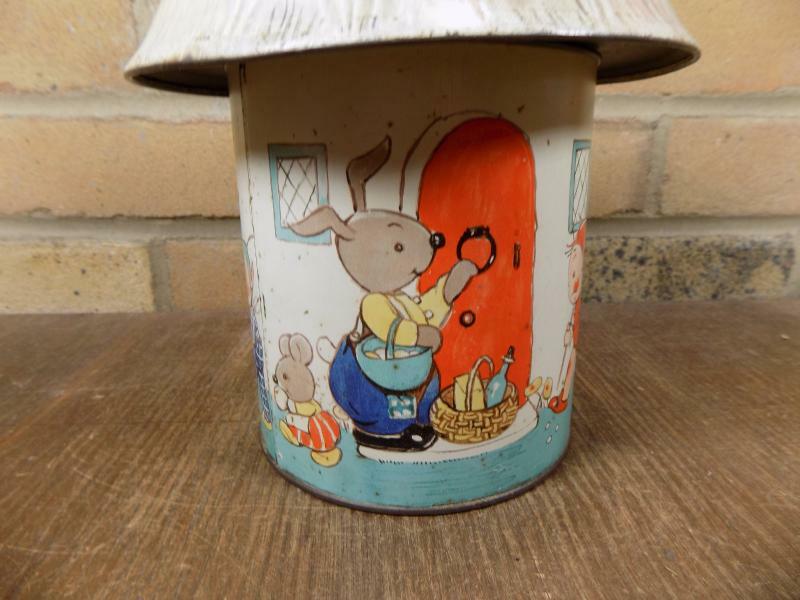 The picture unfolds around the tin showing both fairies and animals including both mice and a rabbit. 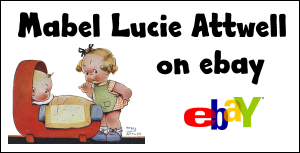 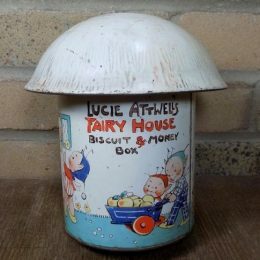 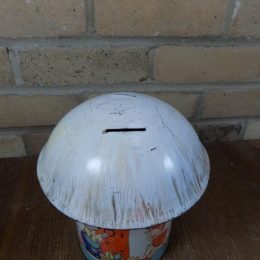 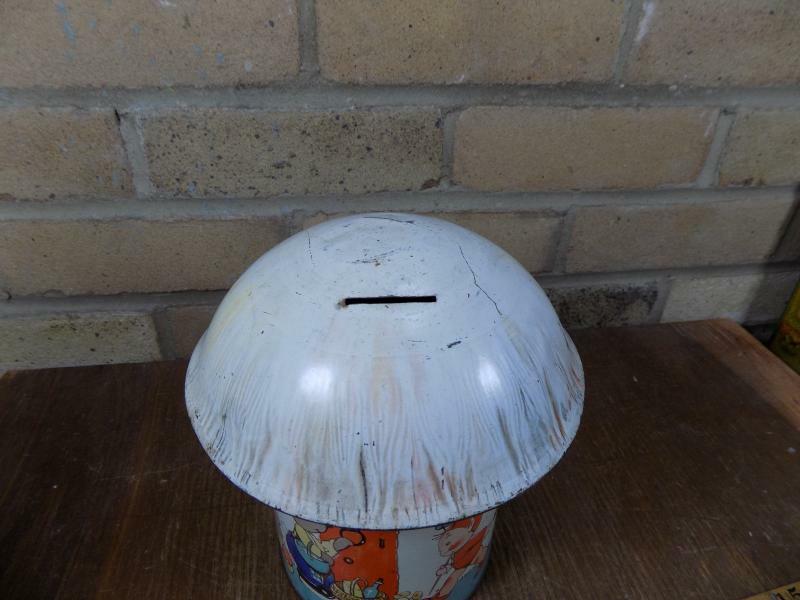 The Mabel Lucie Attwell Fairy Mushroom House Biscuit and Money Box sold for £189 on ebay in October 2017. 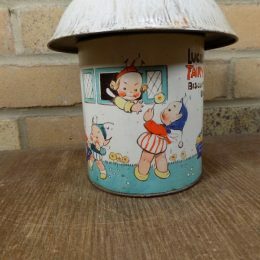 Pictures from around the tin.